Aldeburgh is quickly becoming one of the more desirable coastal retreats to escape the hubbub of London and makes for a great weekends stay. Whilst for us it was more of a coastal hop northwards from Felixstowe it proved the perfect place to spend the weekend with our family. 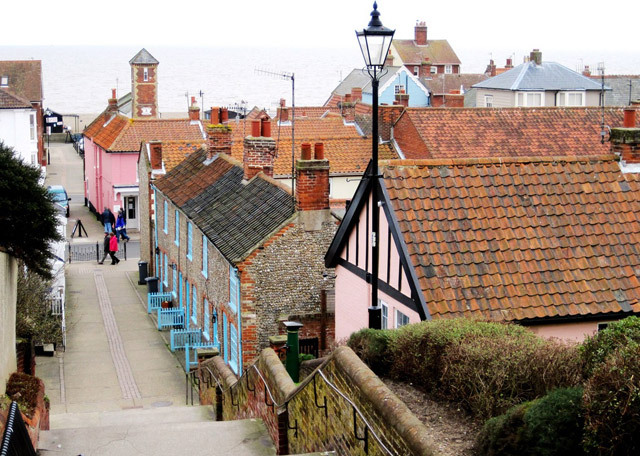 With a variety of restaurants, hotels and boutique shops Aldeburgh is a great place to while away a few days relaxing and enjoying the best of the Suffolk Coast. 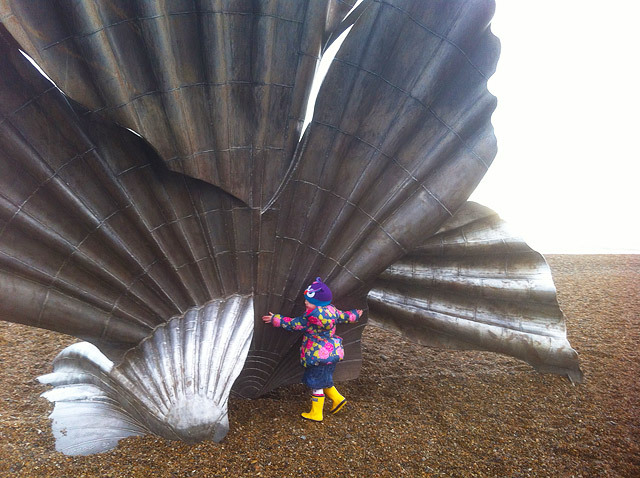 The first thing to note about Aldeburgh is that many of the local residents no longer reside in the centre of the coastal town that stretches along the coastline. Every other house it seems has been bought and either rented out to holiday makers or used as a weekend holiday home for those living in the suburbs of London. Now whilst this works out well for the tourist trade it does mean that the town has a rather unusual feel and even a little soulless at times. The beach itself is a long stretching bland pebble landscape punctuated only by a large sea shell, hotly disputed as to whether it is a blot on the landscape or a work of art. I must say, for our family it proved one of the more interesting sites in the town. One of the main focuses for our stay was to sample the restaurants within the town as we were there to celebrate a birthday with a family ranging from 13months to 83yrs finding the right balance for us was not easy. We ate at two restaurants fro lunch. 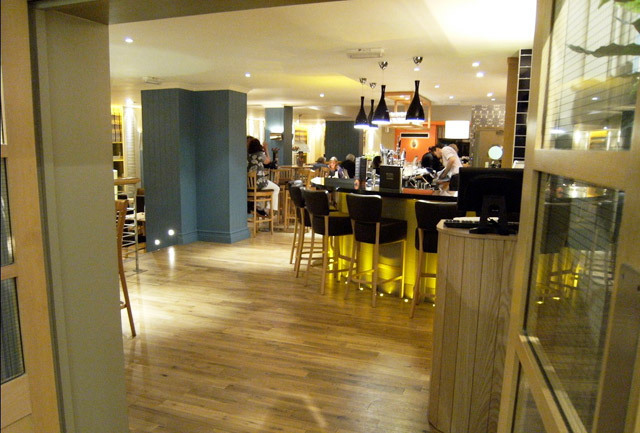 On the Saturday we opted for what we thought was a safe bet at Prezzo. This we thought would be a family friendly experience. We were however diss appointed. Despite explaining upon booking that we had 3 small children within our party upon arriving at Prezzo with two sleeping babies in buggies we were greeted with a very unhelpful welcome. We were made to feel that we were in the way and that really we should have told them that we were bringing a buggy of sleeping children into the restaurant. This put a damper on the meal and having experienced very poor customer service at a Prezzo in Stratford upon in Avon, it is safe to say my family will not be eating a meal with them anytime soon. In contrast the experience at Brudenell could not have been better. We were welcomed by cheerful staff who were only too happy to help. We enjoyed drinks in the lounge which allowed our children to be able to have a little explore of their surroundings. The food was first class and the children’s choices were of equal quality to any adult food served. We were given a table by the window overlooking the sea and buggies here were accommodated with ease. A 5 star dining experience. Our accommodation was to be the setting for our evening meals as small children demanded an earlier bed time that evening dining out would simply not allow. As such we got to know the ups and downs of our property well. Selected from Big House Holidays. The house was advertised as a clean, modern beach residence that was suitable for a family of 3 generations. Although the bedrooms and bathrooms were plentiful and well arranged the living quarters did need a spruce up. The house needed a coat of paint and a serious reconsideration of the state of the staircase as this was definitely troublesome for both the toddler and grandmother of 84. Uncarpeted and very slippy and steep this was not fitting the family friendly description we we’re given. The kitchen although spacious has little to one surface to prepare and cook on and this made preparing food for 8 very difficult. I think if we returned to Aldeburgh again we may well book our selves into to the fantastic Brudenell to sample the delights of their accommodation and breakfasts too. What a stunning, picturesque place! I think it is postcard perfect and looks wonderful for a lovely break!